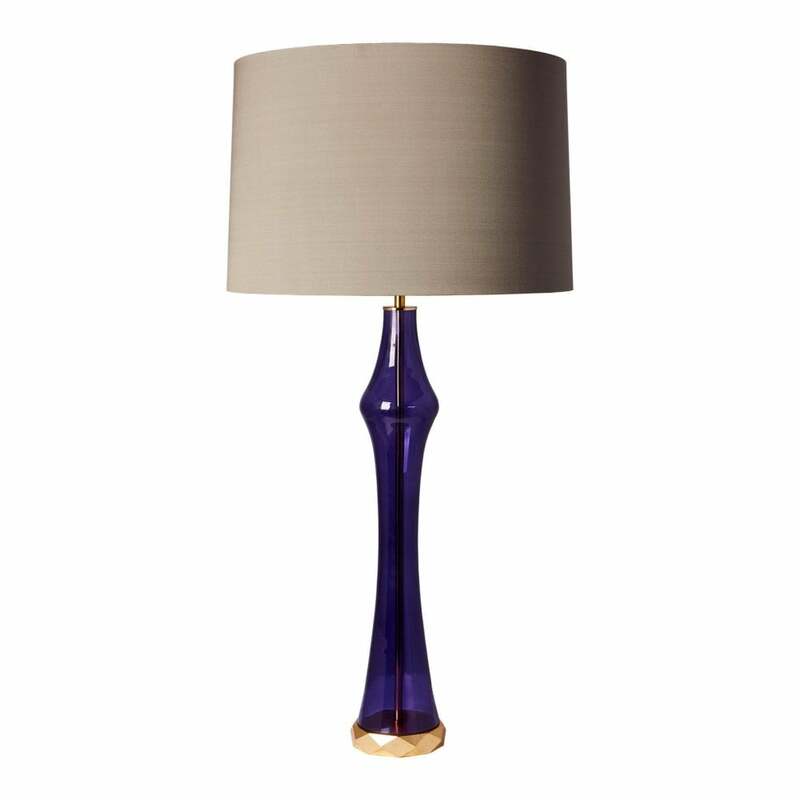 The Christina Table Lamp by Heathfield & Co is designed in conjunction with leading Australian designer, Brandan Wong. It’s mould-blown glass base is crafted by skilled artisans to create an elegant form with a characterful quality. The curved glass is available in two intense colour options, ‘Amethyst’ and ‘Teal’. Contrasted with gold leaf detailing, it is expertly applied to a geometric wooden base and finial design. The table lamp is also presented with polished brass accents and an exquisite, hand-made silk shade with gold lining. Available in a range of colours, make an enquiry for more information.